What prompted the creation of the Global Action Plan? Back in 2013, a WHO document – the Global Action Plan on Prevention and Treatment of Non-Communicable Disease (NCD) – named tobacco, alcohol, obesity and physical inactivity as the four risk factors. It spelled out what should be done in broad terms, but without detail. Since then, documents have been produced to address tobacco, alcohol and diet, but no work had been done on updating and revitalising policies for physical activity. 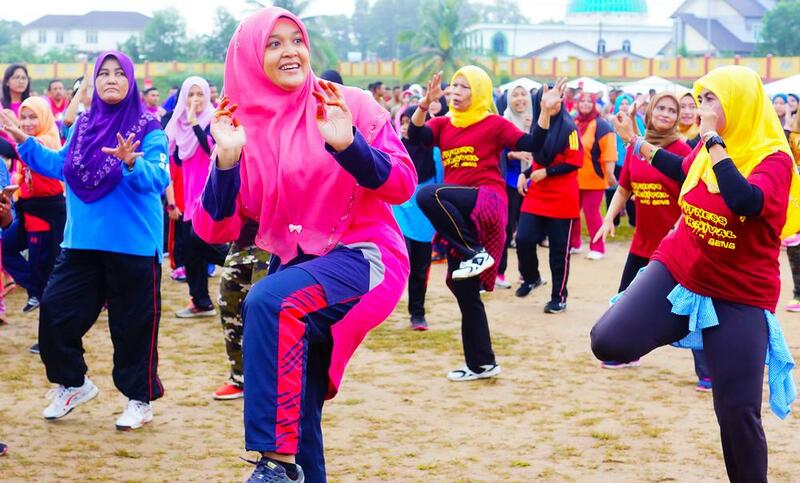 In spite of the known health benefits of being active, and the recognised need to increase global physical activity levels, there remained a lack of up-to-date guidance on the latest evidence, effective approaches and tools to help countries implement them. So in January 2017, Member State countries turned to WHO and requested our help. The result was a new Global Action Plan on Physical Activity (GAPPA) for 2018–2030, published this summer. The Plan’s ultimate target is a 15 per cent reduction in the global prevalence of physical inactivity among adults and adolescents by 2030, with the indicator being meeting the global recommendation of at least 150 minutes’ moderate to vigorous physical activity a week. If you meet this threshold, you’re active; if you don’t, you’re classified as inactive or insufficiently active. Another important recommendation is the need for all of us to do regular strength training, which benefits everything from weight loss to the prevention of falls and the avoidance of conditions such as diabetes. Importantly, the Global Action Plan on Physical Activity isn’t about increasing overall levels of activity, because that could be achieved among already active people. 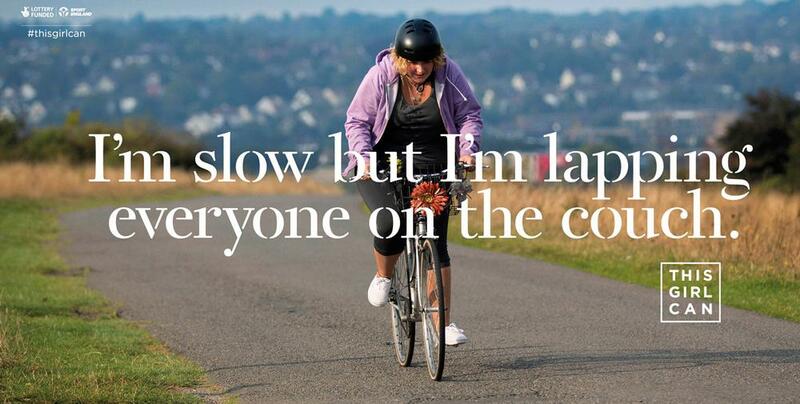 It’s about helping more inactive people reach the active level. It’s also about reducing inequalities in opportunities to be active: for example, we know inactive individuals are more likely to be women, older, unemployed, less educated, or living in areas where the population is predominantly from lower socioeconomic groups. Currently, as a global average, 23 per cent of adults fail to meet the 150-minute threshold, although this varies by country – it can be anything up to 75 per cent of the adult population in places like the Middle East and Latin America. It’s much lower in India and China, and because of their large populations this skews the global average. But these countries are also our biggest challenges, because lifestyles in those markets are now changing in ways we’ve seen happen elsewhere: more car use, more sedentary work, less active leisure time in favour of computers and other digital screens. If we don’t counter that trend then India and China will start reaching the levels of inactivity we’re already seeing in other countries, and we’ll be going in entirely the wrong direction. So we have a two-fold agenda: to reduce inactivity in countries where it’s high; and to prevent a rise in countries where it’s lower. We want to do this by raising awareness, providing opportunities and increasing participation. The ultimate goal is to make activity the default choice and part of every day. How will the Plan achieve this? The Plan covers four highly integrated areas. The first is ‘Creating Active Environments’ – ensuring people have the spaces and places in their local communities where they can be active. That means having good pedestrian access, as well as making people feel safe to go out and walk, both in terms of crime and the environment. It’s also about putting a cycling infrastructure in place: cycle paths, facilities to store bikes, showers at work and so on. And it’s about providing adequate access to open spaces, whether that’s rivers, beaches or parks in cities and communities. All of this needs to be well maintained, accessible, promoted and publicised, priced affordably – ideally free – and with no barriers to reaching them. 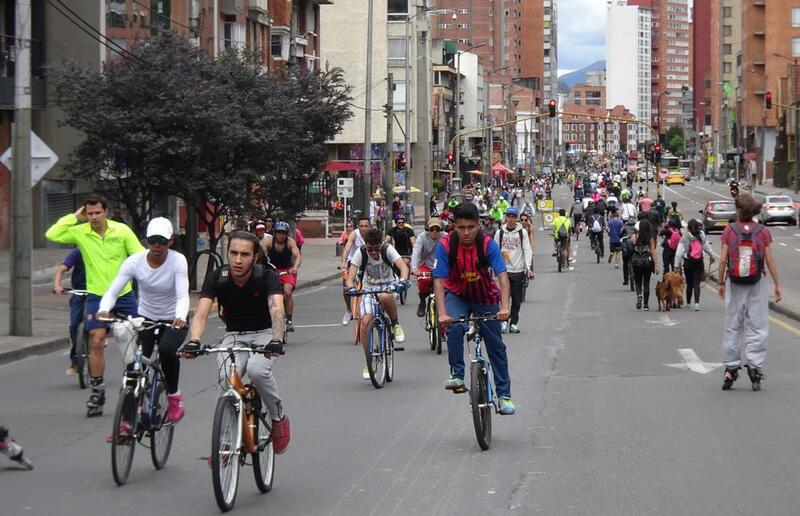 Two lovely examples: in Colombia’s capital city Bogota, they close a big crossroads every weekend so locals can safely cycle, run or skate. 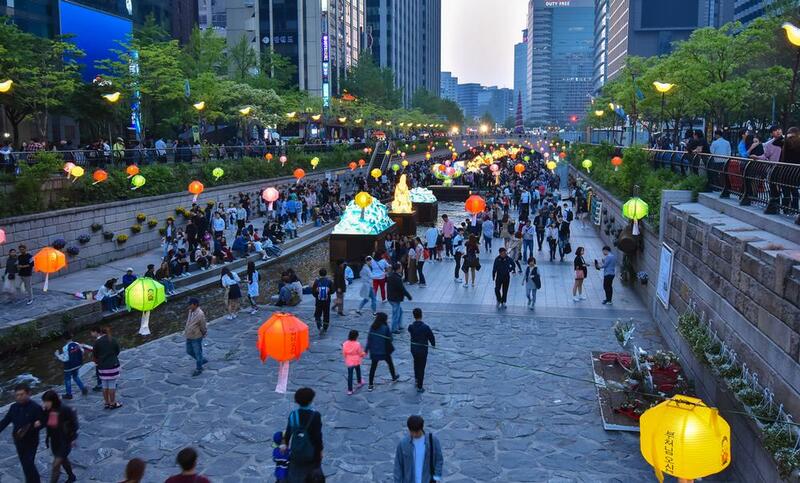 And in Seoul, Korea, they’ve removed the freeway across a river and instead have re-opened the boardwalk and river pathways. Much of this first prong of the Plan will be the business of urban designers, city and local councils and the transport sector. That’s interesting, because it means local government is probably the largest provider of facilities for being active. 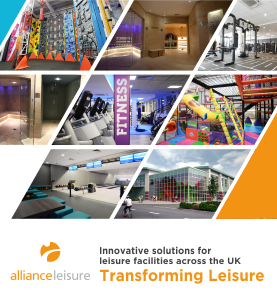 But of course, alongside this are the sports and fitness sectors, which need to ensure their locations, pricing, opening hours and activities create accessible and appealing opportunities for everyone. The second point of the Plan is ‘Creating Active People’, which focuses on programmes and opportunities that engage and encourage people to be active, making sure they’re having fun and enjoying being active. That could be anything from a Zumba class to free-to-use equipment and workouts in a park, through to organised walks or a park run. Here, though, I think the emphasis needs to shift to recognising how difficult it is to start: we need more programmes for people who are less fit or new to exercise. For example, one of my earliest jobs after university was working at the Central YMCA in London. One of the things I did was teach a six-week ‘introduction to exercise to music’ course. The curtains were drawn, so you couldn’t be observed, and I taught people how the timetabled group exercise classes ran: the sort of things to expect in the choreography and so on. It helped address the intimidation factor. The third prong is ‘Creating Active Societies’. In a way, this is the main outcome we want to achieve – to increase everyone’s awareness of the value of activity across all ages. We’re not just talking about awareness among individuals, but all parts of society. Everyone has to understand how they can contribute and do their bit, but this will only happen if everyone values activity. For local governments, why should they think about walking, cycling and green space when revitalising inner-city areas? 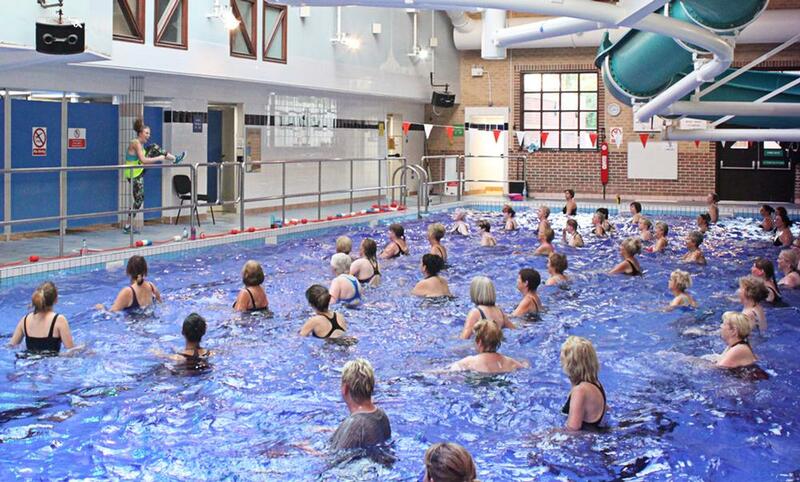 Why should they invest in a leisure centre, potentially with subsidised usage? For schools, why should they invest, bearing in mind it doesn’t have to be a financial investment as much as a commitment to activity? There’s a lovely example from Iran where schools have an exercise break of two or three minutes in every class, in the classroom itself; it’s up to the teacher to decide when it happens and it’s led by one of the pupils. And for us as individuals, why is it important to make the time to be active? Why should we prioritise it for ourselves, our children and our elderly parents? We also need to review the way we perceive things. At the moment, many decision-makers say: ‘We know it’s vital, but it’s someone else’s job’ or ‘It isn’t something we’re going to pay for or prioritise’. These attitudes have prevented progress. So if a local council has pedestrianised an area, for example, let’s not moan because we can’t park outside our favourite restaurant. Instead, let’s acknowledge the many ways pedestrianisation improves our community – councils need community support to make bold decisions. The final element of the Plan is the underpinning, enabling factor: ‘Creating Active Systems’. There are a number of things we need in place to support all this: policy and governance that promotes activity and prioritises it, both nationally and at a local level; solid action plans, with training to implement these; a data system to track participation; robust evaluation, so we know what’s working across different groups; strong advocacy, people talking about how important activity is and how, from gyms to urban design, we’re all part of the same solution; and steady, potentially reallocated, funding streams. What can health clubs do? They can do more in terms of training, so staff are skilled up and ready to work with non-traditional gym-goers. I’d welcome that discussion. I’m also intrigued to know why the market doesn’t respond better to the untapped end of the continuum. What’s on offer at the moment doesn’t work for the majority of the population. Many people go to a gym and are put off, and this is one of the biggest barriers to enticing them back into activity – they’ve already decided it isn’t for them. There’s such an opportunity to get below the surface of the stereotypes, but generally, the fitness industry has not been overly interested. For those who are, WHO and I would be very interested to discuss opportunities – products, services and programmes – to reach the least active and to look at how we can work together in this area. Can we really have an impact with such a global agenda? Absolutely. Everyone has a role to play. We need governments to get on-board, and more campaigns like This Girl Can aimed at different market segments. But we also need role modelling and leadership. That could be as simple as making a statement in your workplace, saying: ‘This is important, we can change the social norm in our office’. For example, at WHO, we’re prompted to use the stairs rather than the lift and have stand-up meetings. That’s the sort of leadership that can change social norms, as well as national campaigns and everything in between. What are the biggest obstacles to achieving the GAPPA goals? Firstly, it’s inertia and lack of prioritisation of activity. We need it at the top of the agenda and with accountability. Secondly, we need to build capacity, including training everyone in the new agenda and what it takes: so, for example, school teachers need to be supported and trained in what they could be doing and how schools can contribute. Similarly, what’s the role of the fitness sector? Everyone needs to understand and value the role they can play, as well as understanding and supporting the contributions of others. 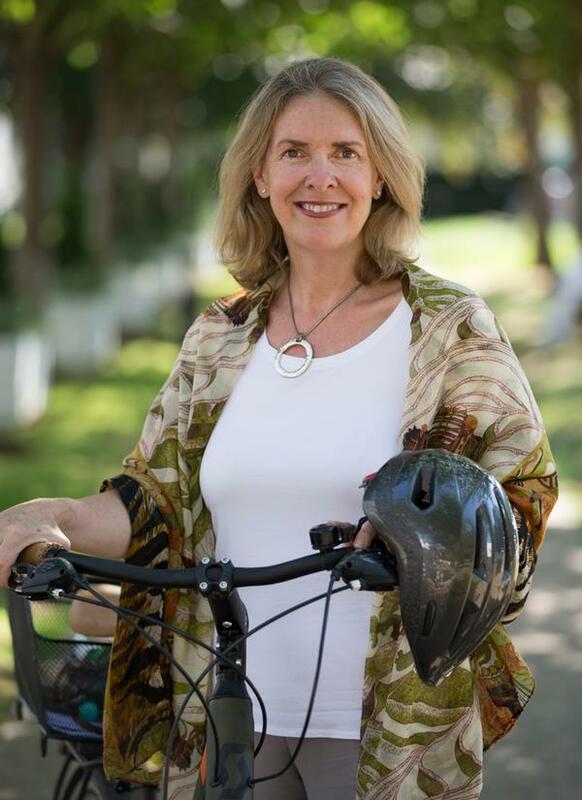 Thirdly, we need to fully connect all these opportunities to reap the maximum benefit: we need to see the recreation community supporting the transport sector when it’s talking about walking and cycling, and supporting the education sector when it’s talking about how to get adolescents and kids more active before, during and after school. 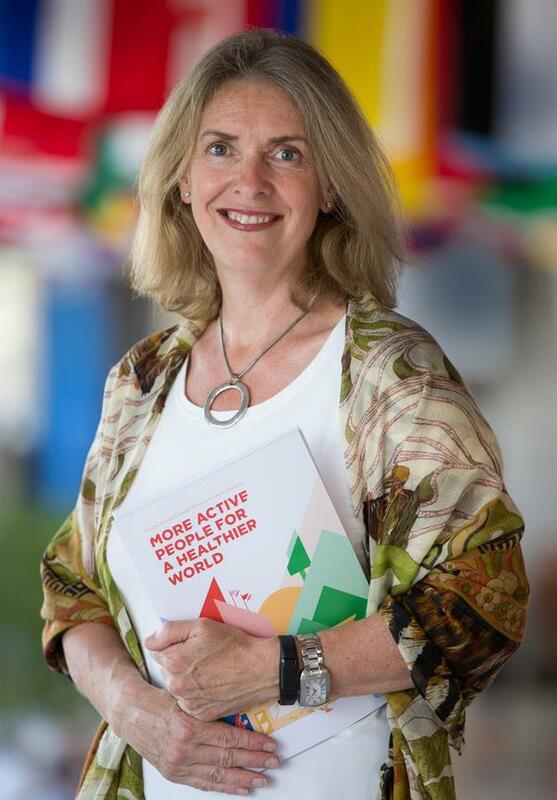 What’s the role of the World Health Organization in promoting activity globally? Our role includes sharing best practice from around the world – joining the dots globally and encouraging the adaptation and adoption of great initiatives across different countries. We also facilitate and help countries and communities get started in building connections and co-ordinating their activities. We’ll encourage communities to involve and motivate all stakeholders – for example, making sure they have their sport, transport and recreation sectors involved in their solutions, as well as private industry. We’ll also recommend the creation of a co-ordinating mechanism – a committee or taskforce – that oversees everything and identifies synergies, so, for example, doctors know where to refer their patients. The whole challenge is enormous, but every community can identify things they could do better. That’s where they should start. That’s my call to action to everyone because we all have a role to play: identify the best two or three things you can do and start now. I trained as a PE teacher and did a Masters in Sports Science at Loughborough just as we were beginning to understand the seriousness of conditions like heart disease and diabetes, and to appreciate the role activity played in their prevention. I couldn’t understand why people weren’t more active. I began to explore the reasons and did a PhD in this area. After my Masters, I moved to Australia to work in workplace health promotion and became very interested in the evidence base: if we knew why people do and don’t exercise, could we work out solutions and put those into practice? That led me closer to the world of policy and my career for the past 20 years has focused on research, practice and policy. I’ve worked in universities; as director of the National Centre for Physical Activity in the UK from 2004 to 2012; at the CDC in the US Department of Health; and then at WHO on policy. When did you rejoin WHO and take up your new role? I rejoined WHO in 2017 as programme manager in the area of surveillance and prevention of non-communicable disease. My counterparts work in the areas of alcohol and tobacco, but my remit is unhealthy eating and physical inactivity as key risk factors. Specifically, my role is to lead WHO’s work developing global policies and guidance tools and then to support countries in implementing these. Three stand out. The first looked at how we measure participation. It’s one of the driest areas, but it’s fundamental, because it measures change. Governments weren’t interested because they didn’t think we could measure participation – we didn’t have data to show the size of the problem. This in contrast to tobacco and obesity, where we use BMI and blood pressure. Today we have digital tools, but in the early days it was about getting the best measurement possible. The other projects were interventions. 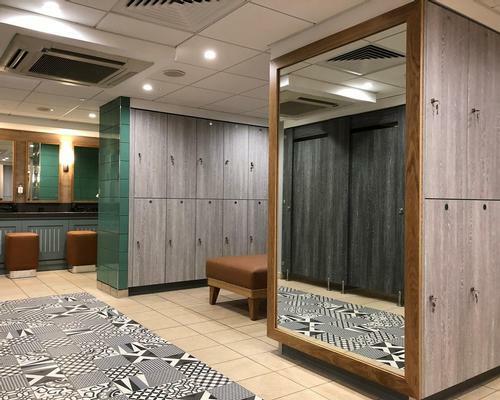 The first, relating to workplace activity, advocated providing subsidised gym membership and promoting activity in the workplace – especially in small, affordable ways. The field has since shifted its focus to encourage staff to take breaks, use stand-up desks, use the stairs, hold walking meetings and so on. The next project concerned exercise prescription. We were advising patients to quit smoking, but we weren’t advising them to be active. I looked at how healthcare professionals could promote activity. They have two roles: to reinforce the importance of being active; and to connect people with providers of activity. The challenge remains that we still aren’t training doctors in physical activity. We, therefore, need simple measures: a very quick reminder on the GP’s computer screen, with a prompt to ask the patient a quick question about activity and record it in their notes; resources to help them give the best advice they can in the short time they have with patients; and ways to follow up, because habits won’t change as a result of just one discussion. Physical activity needs to be recognised as a ‘vital sign’ that health professionals ask about during every consultation – something being considered in the US. There are other good examples: in Scotland, they’re integrating activity into the medical curriculum, in Finland they’re linking an app to patients’ notes to send pointers about local opportunities for activity and the UK’s ‘Let’s Get Moving’ project is allowing doctors to refer patients to programmes in the community. There are promising examples out there, but we need to get these shared and adopted. This is where we come to the agenda of the new Global Action Plan.